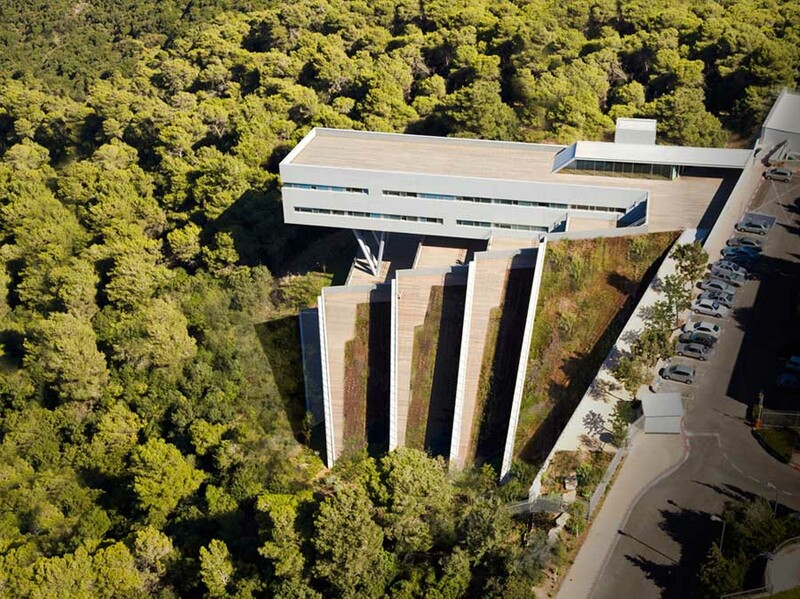 We’ve selected what we feel are the key examples of Israeli Architecture. 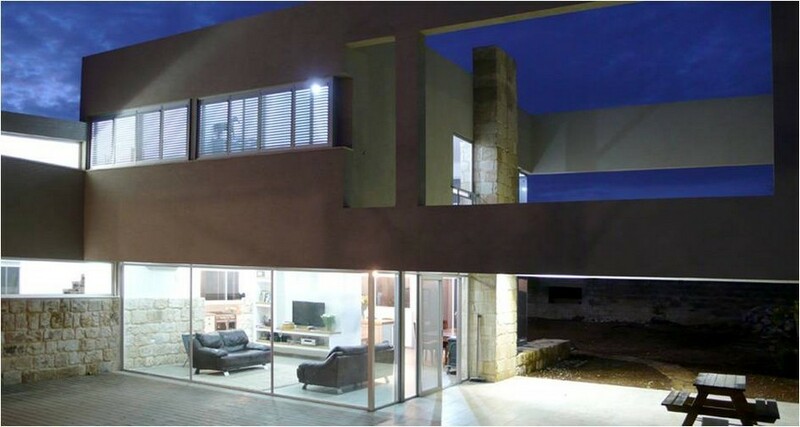 We cover completed buildings, new building designs, architectural exhibitions and architecture competitions across Israel. 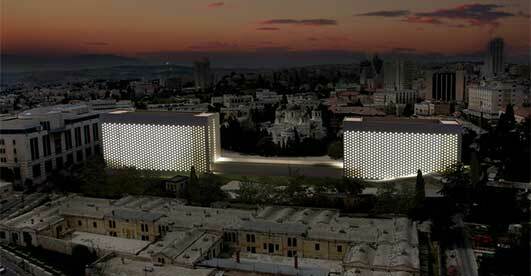 The focus is on contemporary Israeli buildings but information on traditional Israel buildings is also welcome. We have 2 pages of Israel Architecture selections. 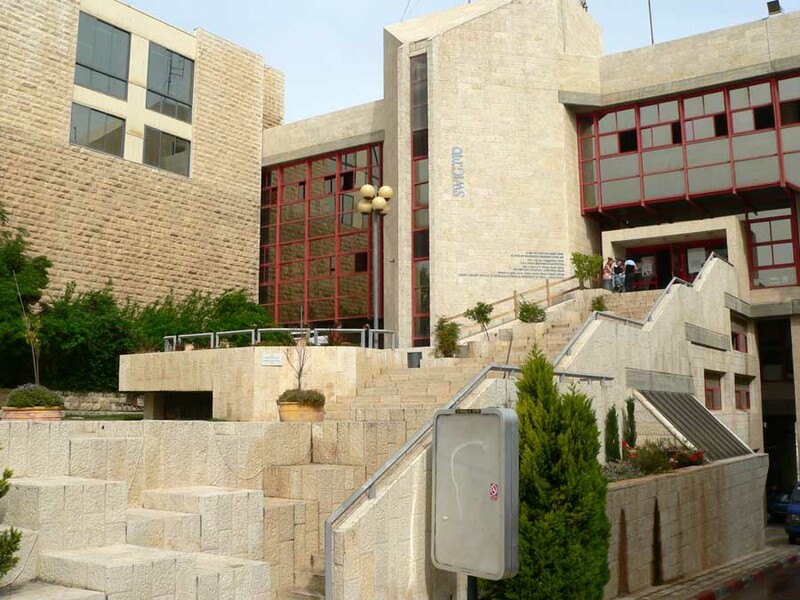 This building is located on the Bar-Ilan University Campus in Ramat Gan. 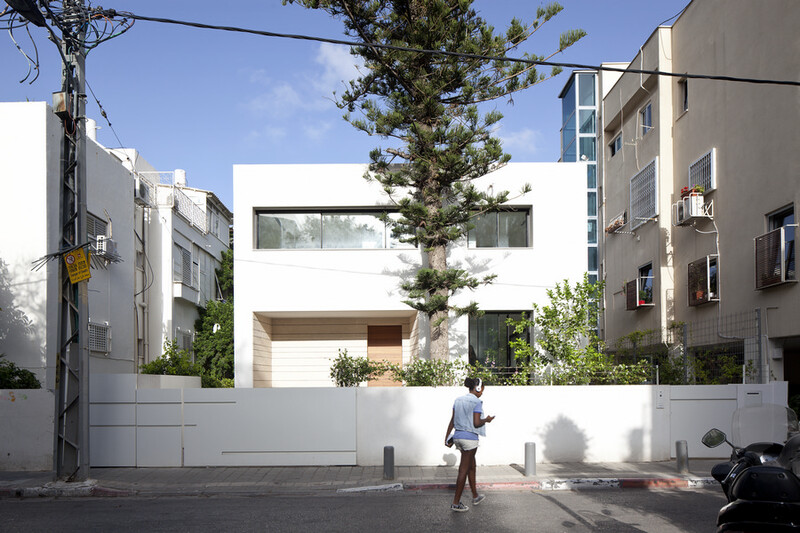 A house in the periphery of Tel Aviv, Israel. 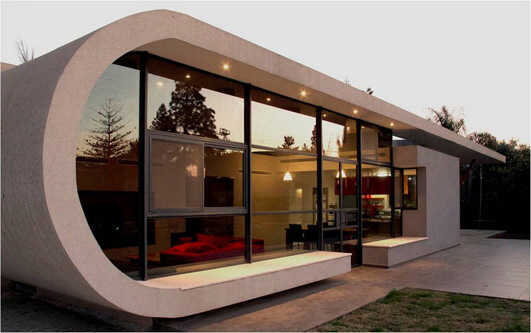 The design is clean and very limited in architectural elements. Basic finish materials: white plaster, iron and glass. The old house served the family while raising children. Now, when the children left home, it is home for the couple and serves for hosting the family and the grandchildren. 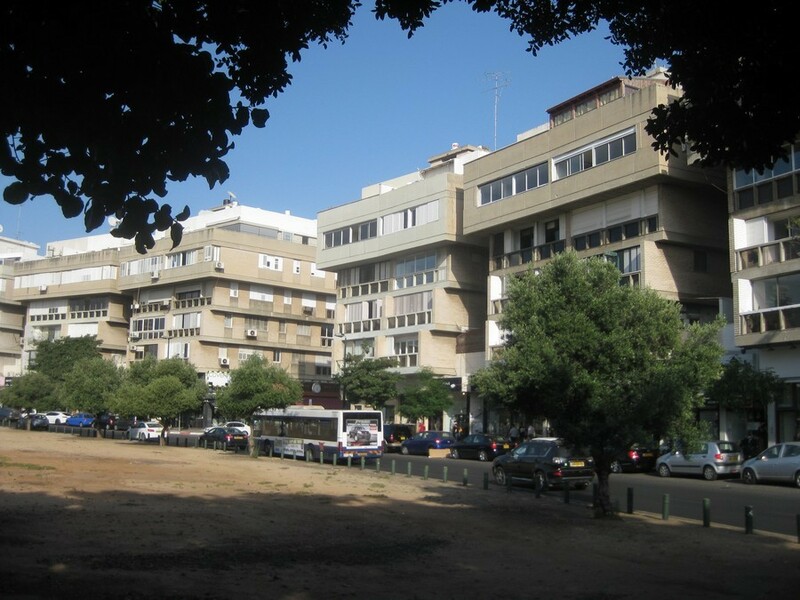 In the 1950s what was known as the “International Style” was highly developed in Tel Aviv. It developed thanks to architects who studied at the Bauhaus Institute in Germany and who then returned to Israel to continue their work. One of the architects who led the “International Style” was Dov Carmi. He designed many, usually large, projects. 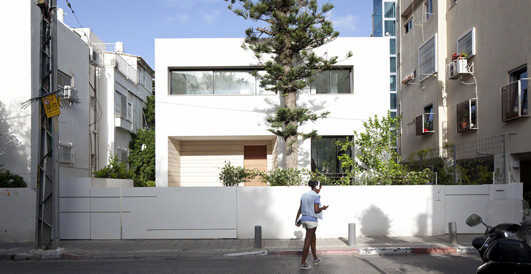 One of his more restrained projects was an urban villa in the center of Tel Aviv which he designed in 1951. 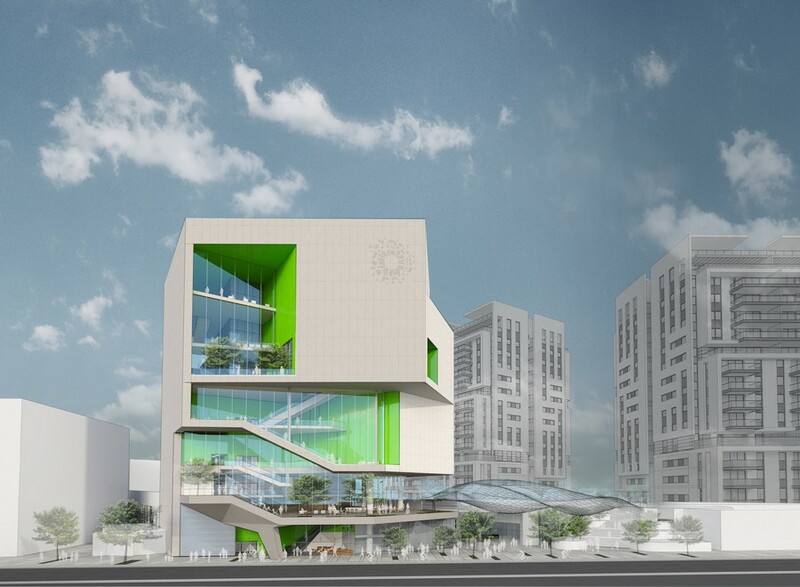 The planned Check-Point Building for the Faculty of Computer Science and for science-oriented youth is located in the center of the campus, between the buildings of the Physics and Mathematics Faculties and the Dan David building. 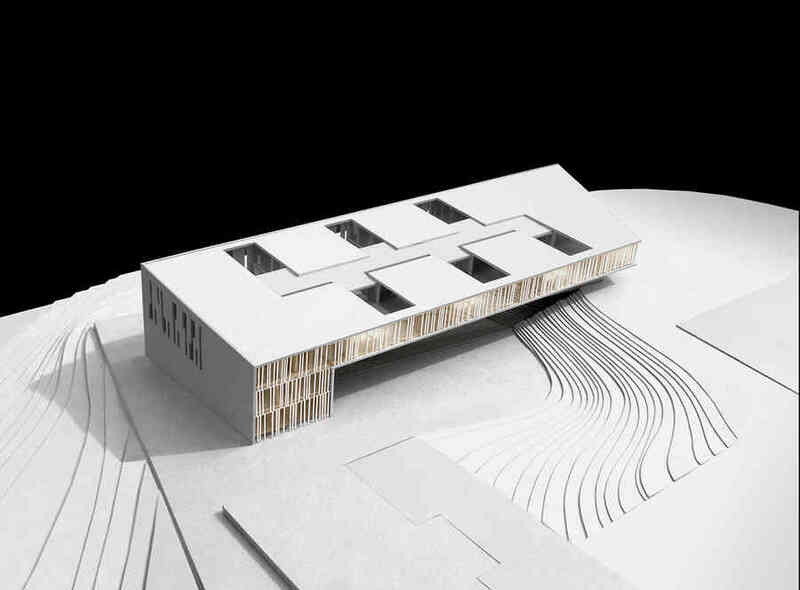 The scheme proposes to combine the ancient building complex with the new one by a central space. This allows observation from the ancient part to the new and vice versa, while it gives a new vertical dimension to the typology of the patio hinted at the ancient remains. 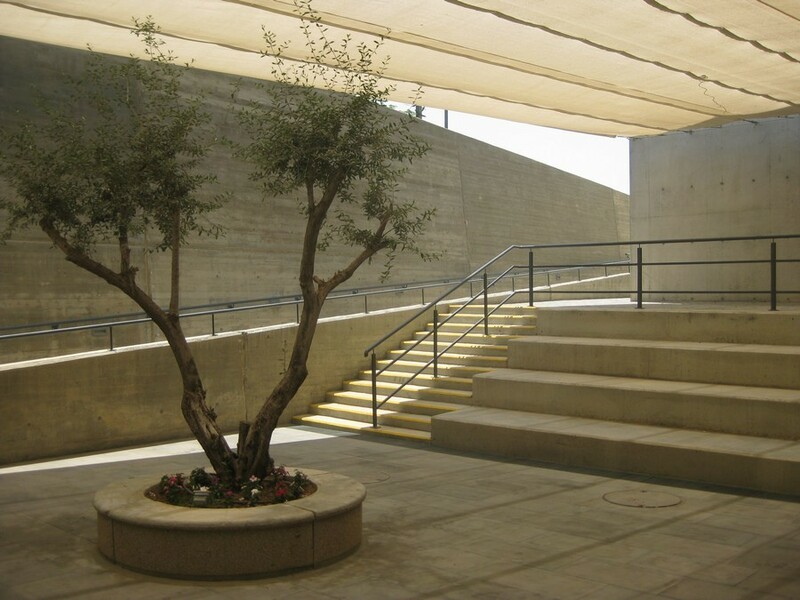 The ‘floating’ structure of the building covers the ‘Antiquities Courtyard’, protecting it from rain, wind and sun while creating conditions of natural and artificial lighting. In this way, the ‘Antiquities Courtyard’ becomes a useful and meaningful outdoor space. 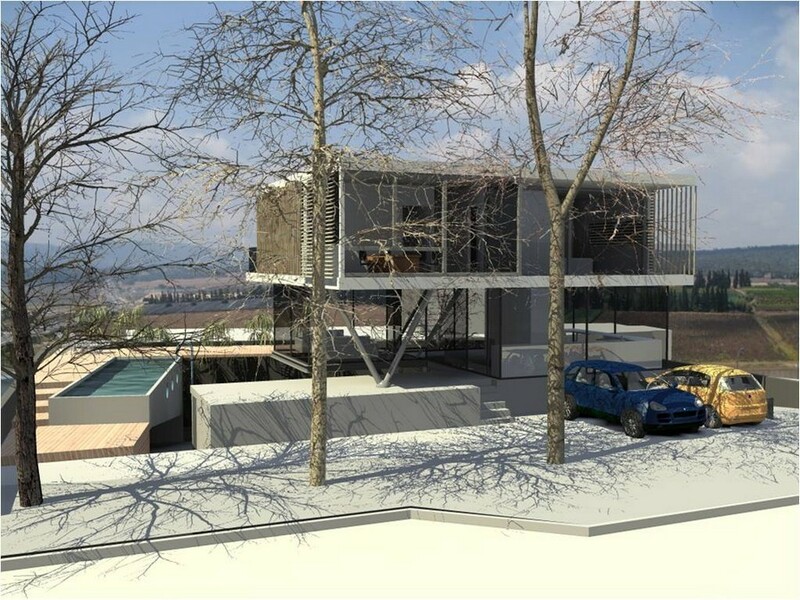 The challenge in this scheme was to add a second house to the site in such a way that both will create an assembly of space and activity between the two families and still allow division and privacy. This Ice cream parlor of the Leggenda chain is located on Rothschild Avenue. 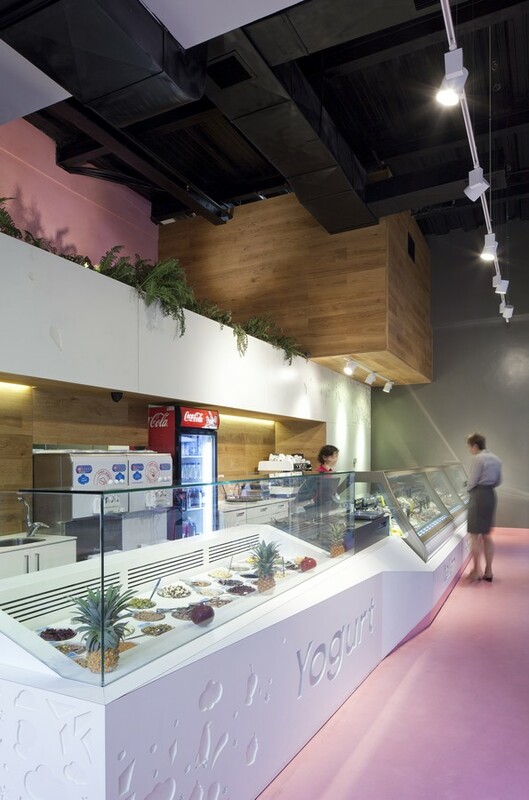 The concept is to create a unique sales ice cream vitrine, embedded into a complete unit with the sales display of the ice cream and the yogurt. Most public institutions in Jerusalem exist as gated compounds. This reality probably stems from the semi-desert/Mediterranean planning culture, which developed in a mostly, non-urban and rough landscape conditions, along with intense security considerations, prevalent in pre-modern and unfortunately in postmodern eras. 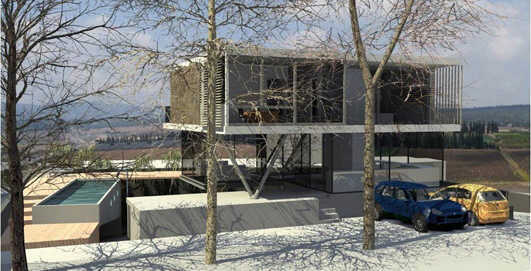 This home has been designed for a client who wished to build his home next to his farm. The design combines some of the utilitarian images of the agriculture buildings in that area with the fascination to the ‘beams’ construction of a ‘country home’. This is a preservation and an extension of a historic heritage monument on the first street in Yessod Hammala, which was built by the ‘pioneers’ in the late 19th century. It’s located in a tourist area and this makes it possible (or at least part of it) to be used in the future as a boutique hotel or for another commercial use. 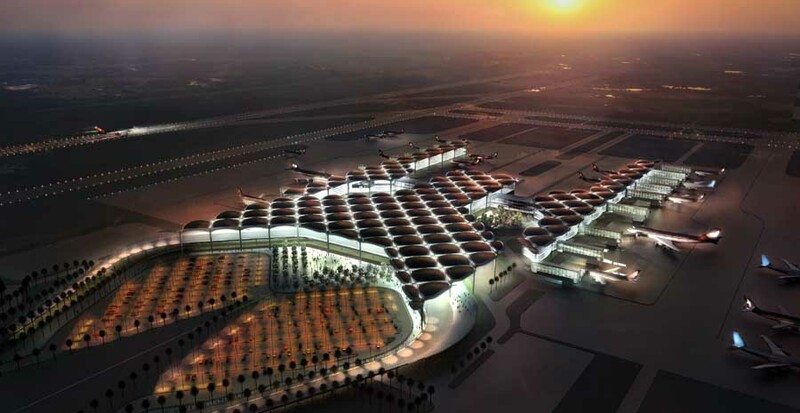 This was the prime reason of creating one long corridor crossing the entire site which connects all kind of (outside) spaces that can be joined or rejoined in different phases for the future. The complex can by used as one, two or even three living units, one house with commercial space or guest rooms or even the whole complex as one hotel. 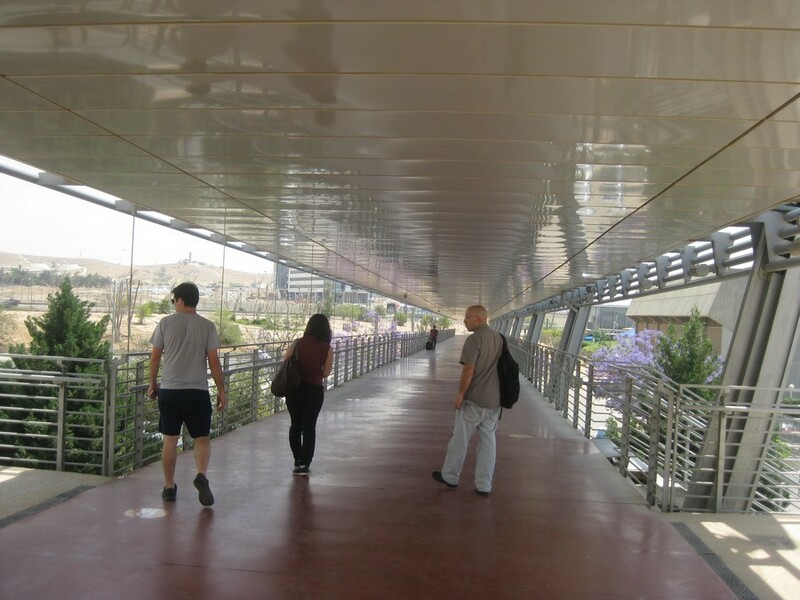 The municipality of Hod-Hasharon was established as a cluster of four colonies or neighborhoods, each of which has its own center of public activities. 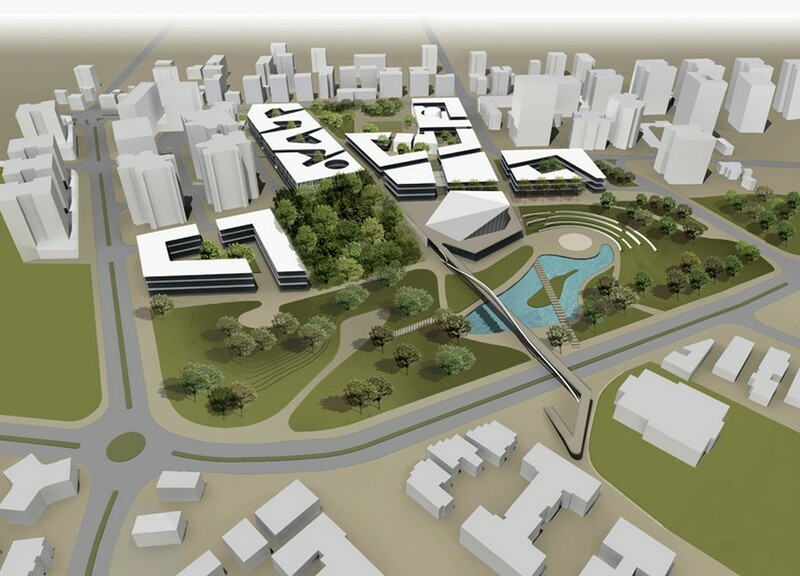 The aim of the proposed municipal civic center is to create a complex of public services in an area common to the four neighborhoods, to unite them into a municipal fabric. Tel-Aviv White City Forum project is an Exhibitions Center, and is part of the huge Tel- Aviv Wholesale Market Project currently under construction, comprising thousands apartments, a mall, a school and a sports complex. The project, located in the city center, is built on the grounds of the former market, recently removed to the outskirts. The Forum will be a platform for genuine urban celebration. 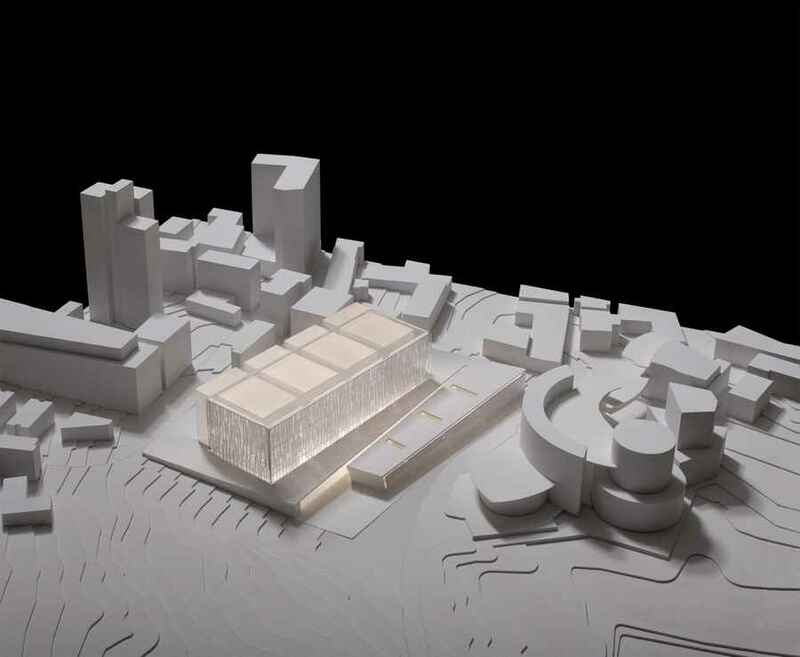 This will create a place that provides an exciting urban experience, attracting the public not only to exhibitions but also to its diverse and bustling urban space. 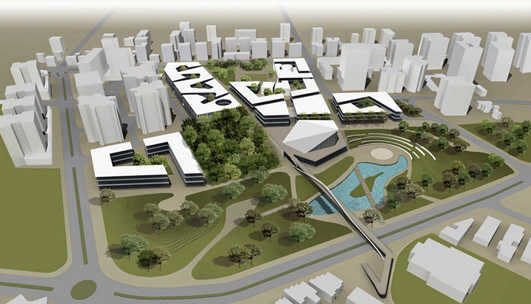 The design gives a synergic approach to the environmental, social and economic aspects of sustainability. 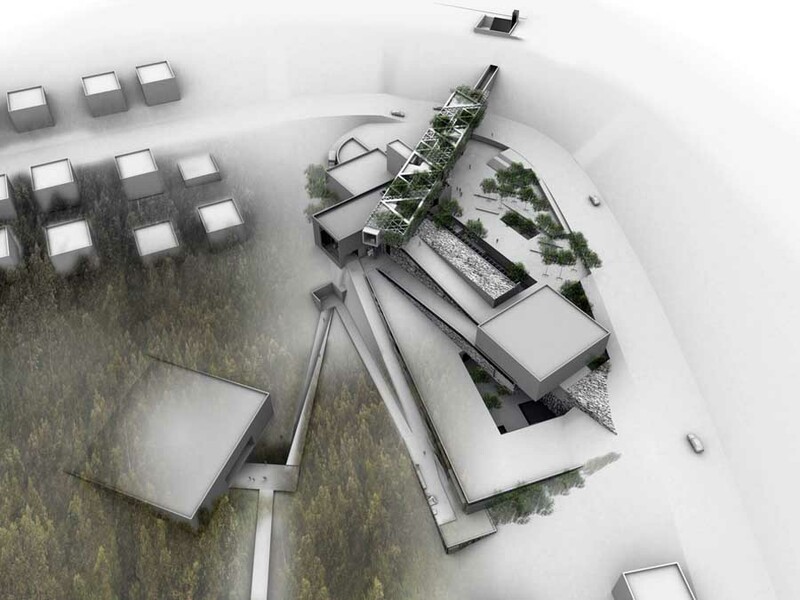 The environmental aspect presents an energy sufficient structure that is derived from the site conditions (wind, sun, acoustic) and allows research that simultaneously presents the available technologies to the public. 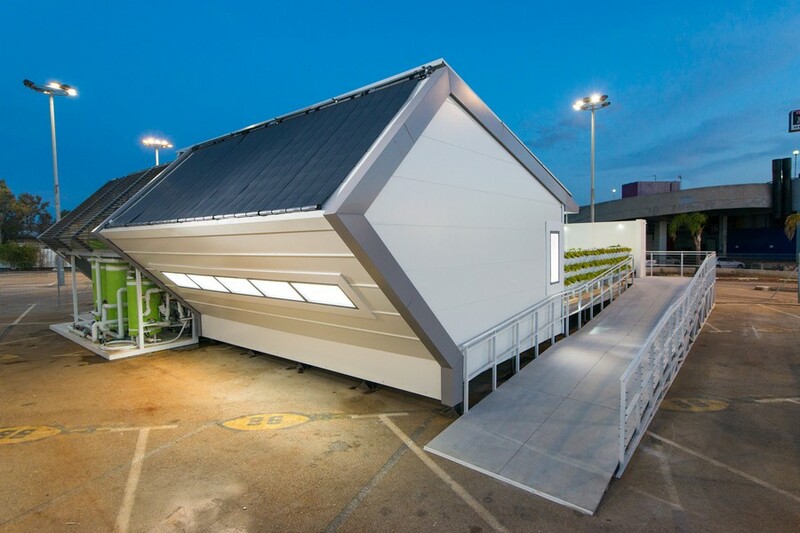 The surrounding buildings can plug in to the available recycling and energy systems within the building. 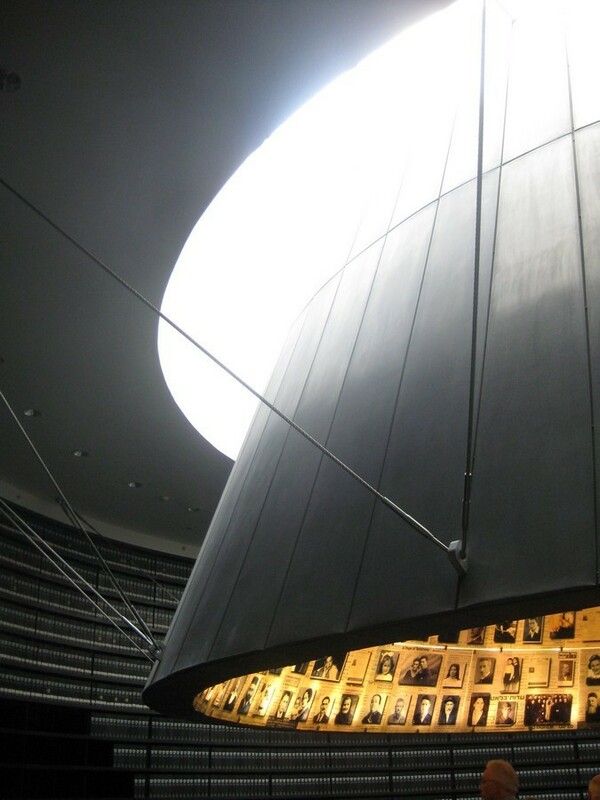 The social aspect is achieved via human interaction throughout the entire building allowing formal and informal meeting places between researchers and visitors. 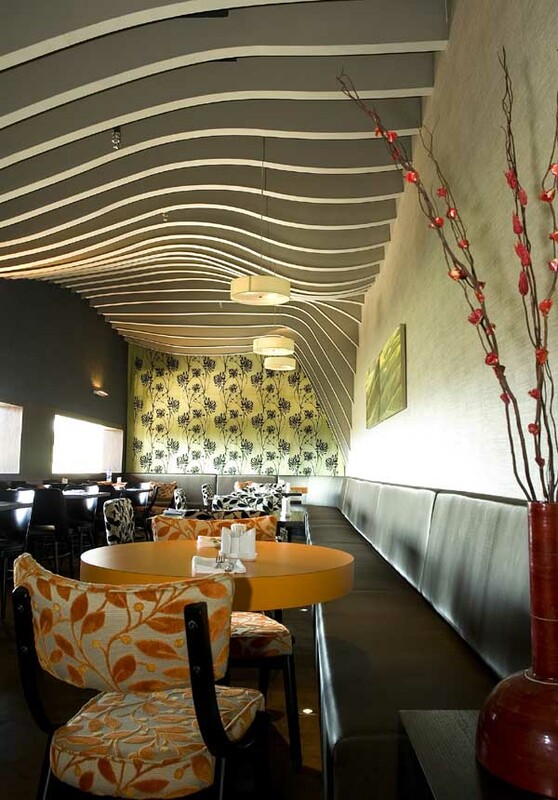 The economical aspect saves building area and maintenance cost. 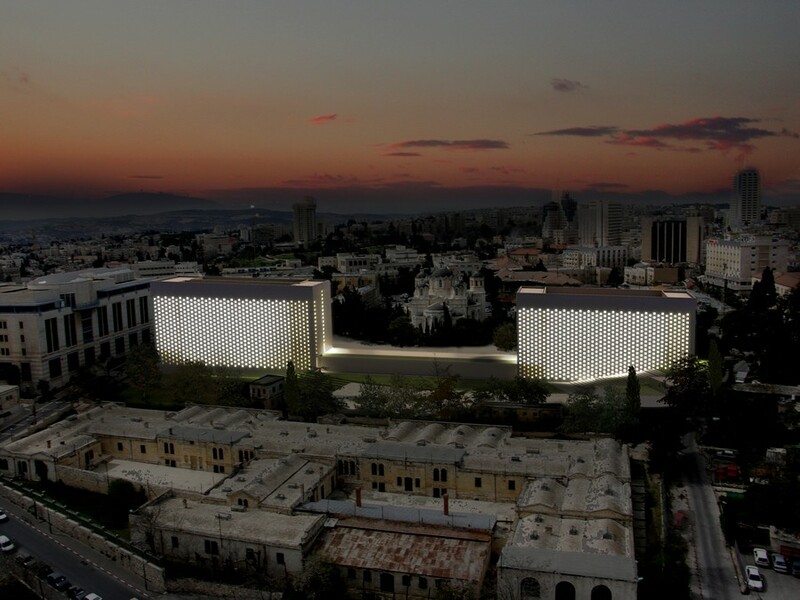 A significant cultural, architectural and touristic evolution of the urban fabric of one of the world’s most iconic and timelessly beautiful cities happens this June with the opening of the first luxury lifestyle hotel in Jerusalem and Israel: Mamilla Hotel. 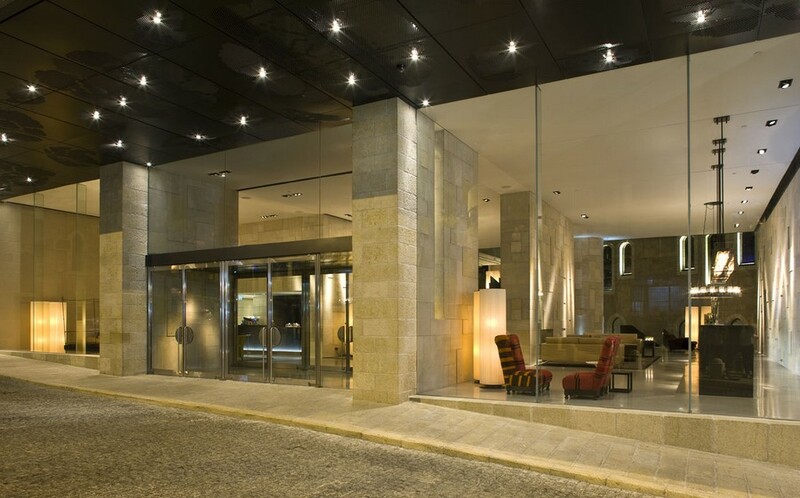 Located in a remarkable position in the city centre with breath-taking views of the Old City walls, the Tower of David and Jaffa Gate, the Mamilla is a contemporary, world-class hotel that combines a distinctly international outlook with the unique cultural heritage of this most magnetic, frenetic, incredible city. 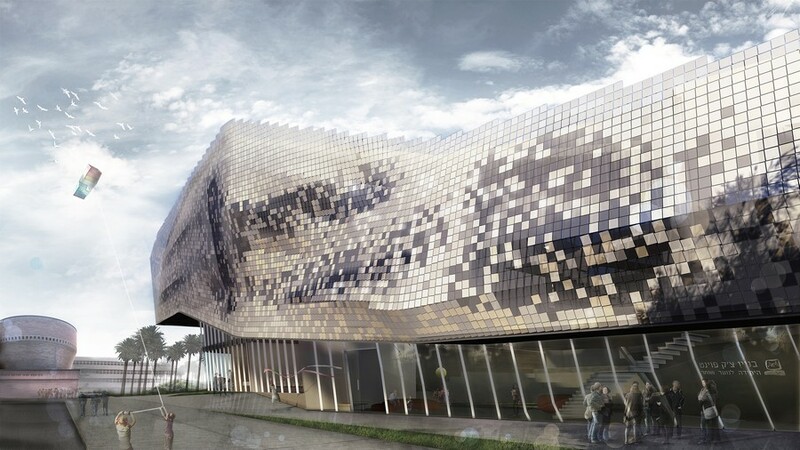 An international city renowned for its vibrant young culture and tradition of modern architecture, and a museum known as the very heart of its nation’s thriving arts community, today opened the doors of a visionary new building that may alter the future of museum architecture and lift its country to new prominence in the world of contemporary art. 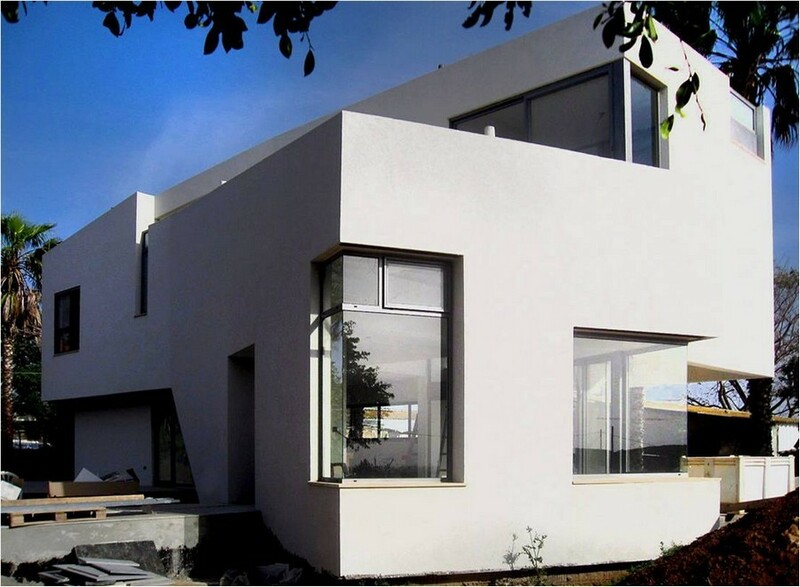 Testing the thermal performance of various aspects of the design and the building envelope has helped fine tune the house to the desired level of performance that fits both the Israeli and Datong climates. 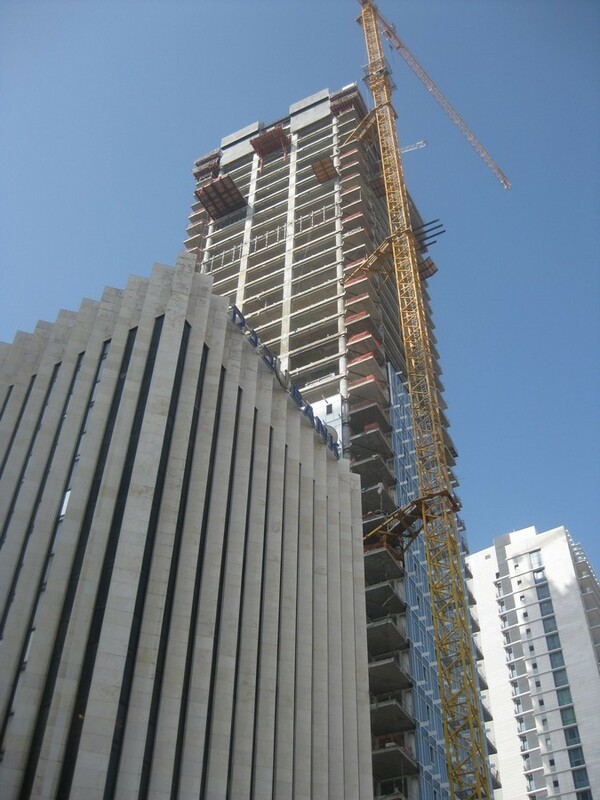 Major Tel Aviv building located on HaBima Square. 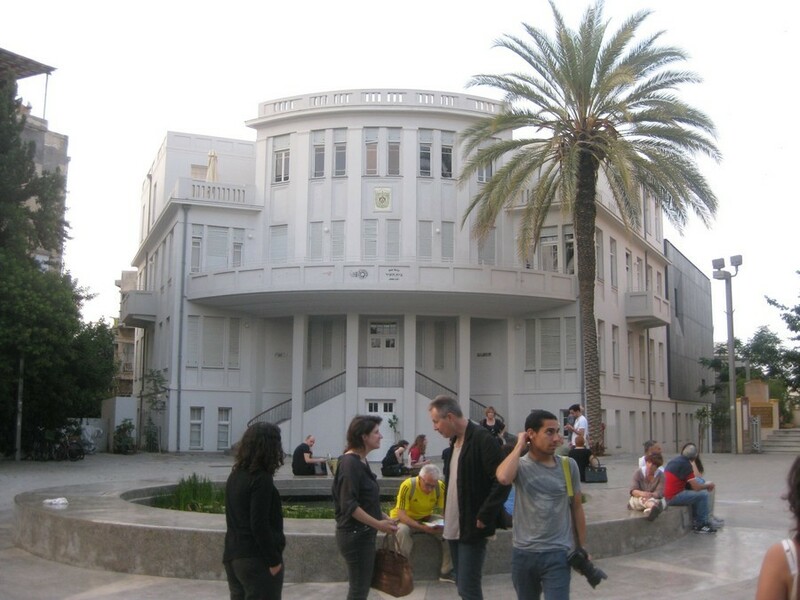 The Museum of the History of Tel Aviv-Yafo opened in 2009 in what was the old Tel Aviv Municipality building in Bialik Square. 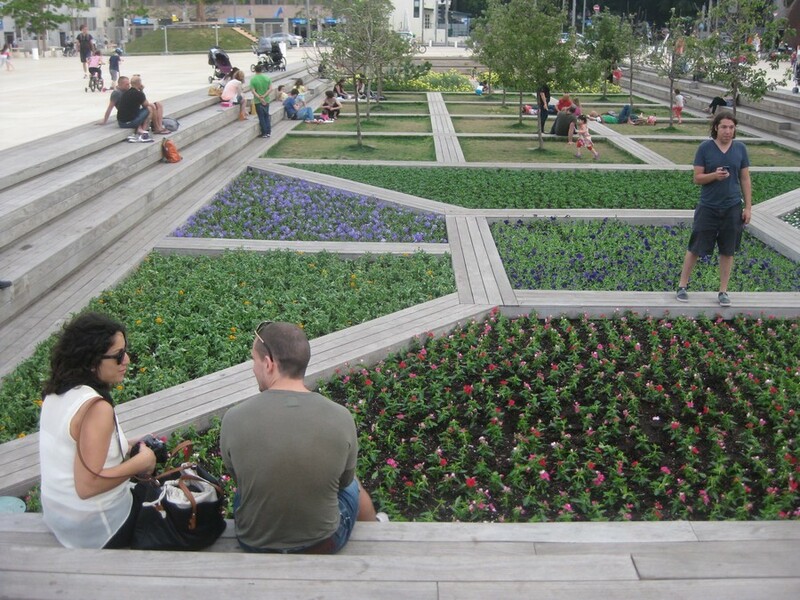 This is an elegant piece of city planning, humble, axial and successful as a place where people like to linger. It features a contemporary extension to the north. 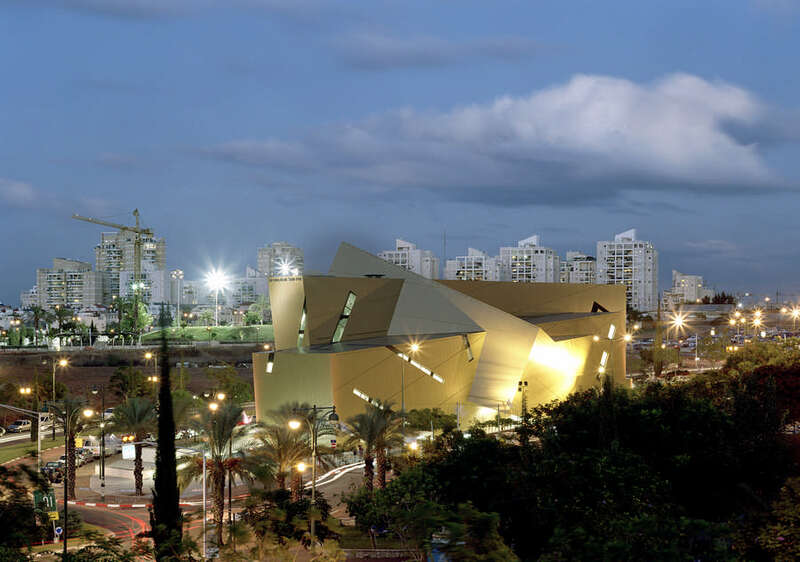 HaBima Square (also known as The Orchestra Plaza) is a public space in the center of the city. 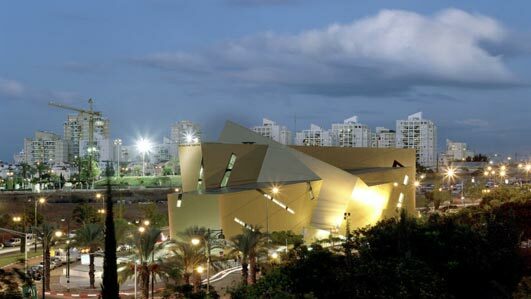 It is home to a number of cultural institutions such as the Habima Theatre, the Fredric R. Mann Auditorium and the Helena Rubinstein Pavilion for Contemporary Art. 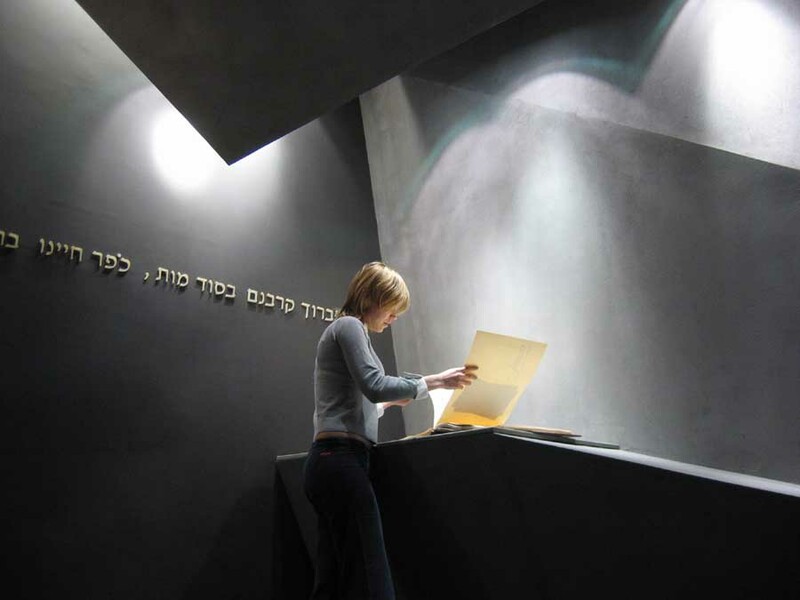 The rebuilding of the Yad Va’Shem Holocaust Museum includes a new visitors’ center (Mevoah), a new history museum replacing the existing museum constructed in 1953, a Hall of Names, a synagogue, galleries for Holocaust art, an exhibitions pavilion and a learning and visual center. In addition, new underground parking and facilities for tour buses are located adjacent to a new entrance piazza. 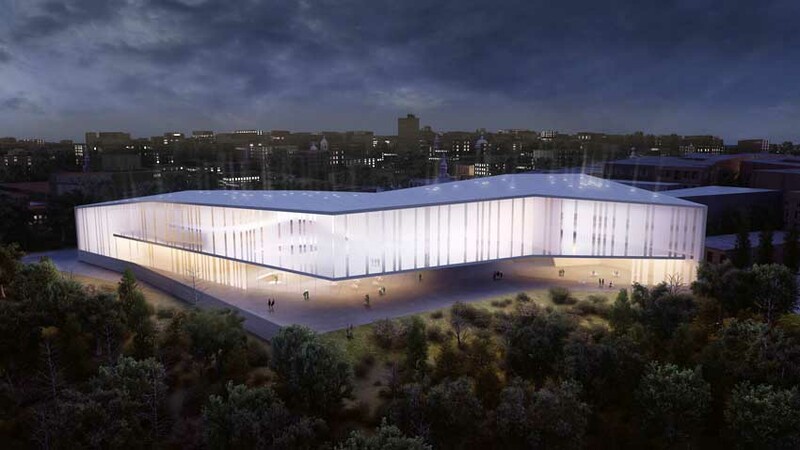 The overall program quadruples the permanent exhibition space. The concept of the Israeli Veterans’ building, explained to me by the architect, was five ‘rocks’ in the desert with an overarching roof. 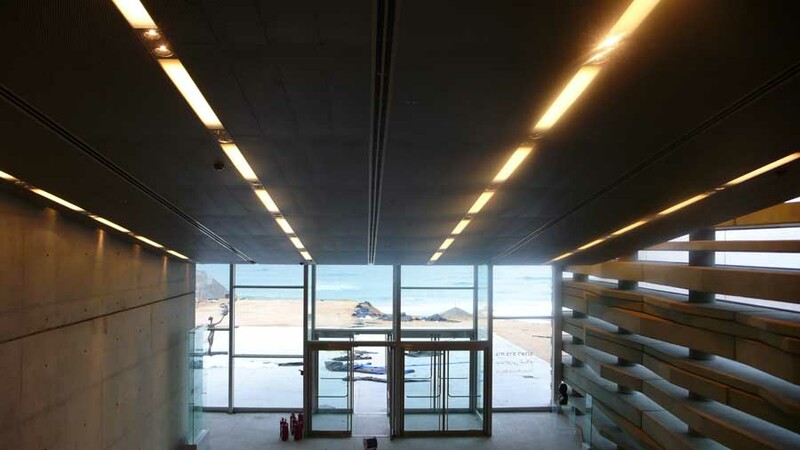 Each ‘rock’ is a wing of the building and the intervening spaces are cloaked with a timber-lined soffit. Evaluating the design was hindered by a huge amount of clutter but in general the building seems to work though I found reading the layout from the entry and the foyer slightly difficult, the ‘rocks’ metaphor doesn’t quite work for me. 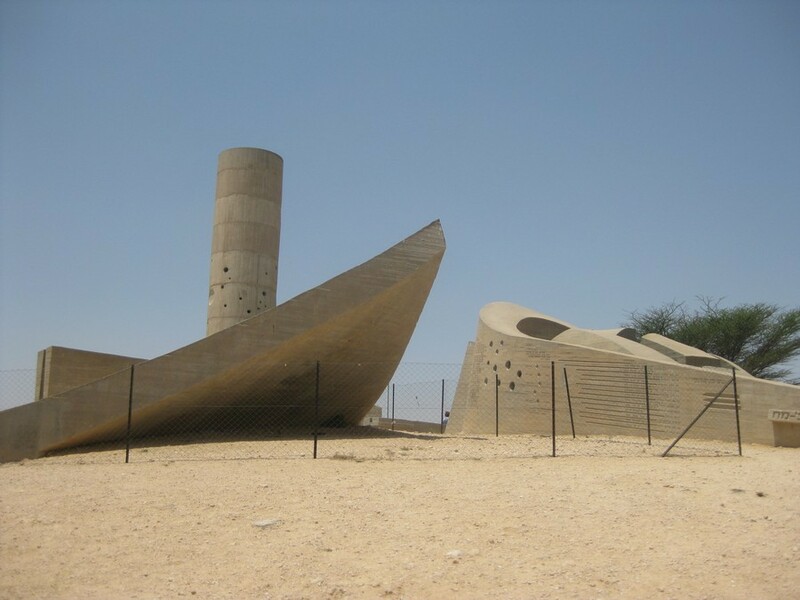 Photos + information on low-rise housing, a megastructure and a university campus all located in the arid landscape of the Negev Desert. The building shows exhibitions about Israeli design, and on our visit was showing bathing suits and related designs. 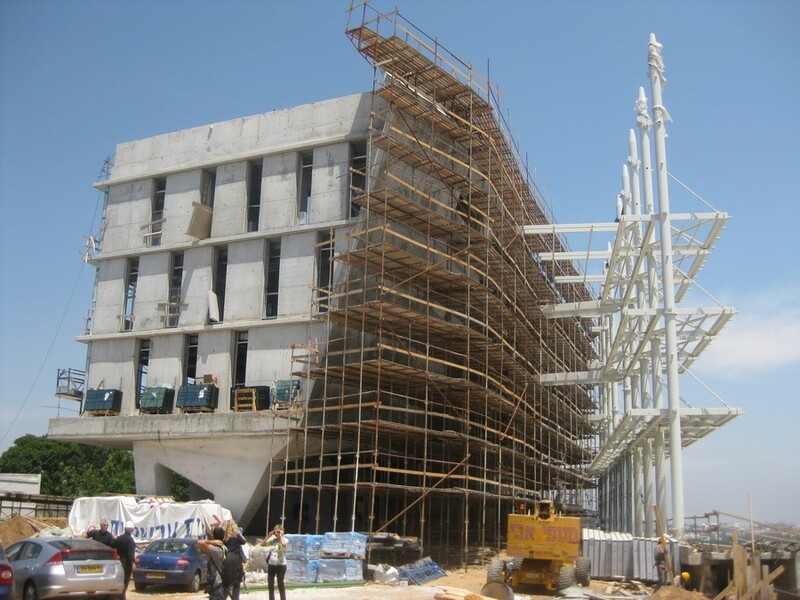 The structure is located on the edge of the traditional city centre, in a cultural quarter which is yet to complete. The building appears as an organic form, but within it is essentially formed by a large upper and a small lower gallery, both rectilinear. 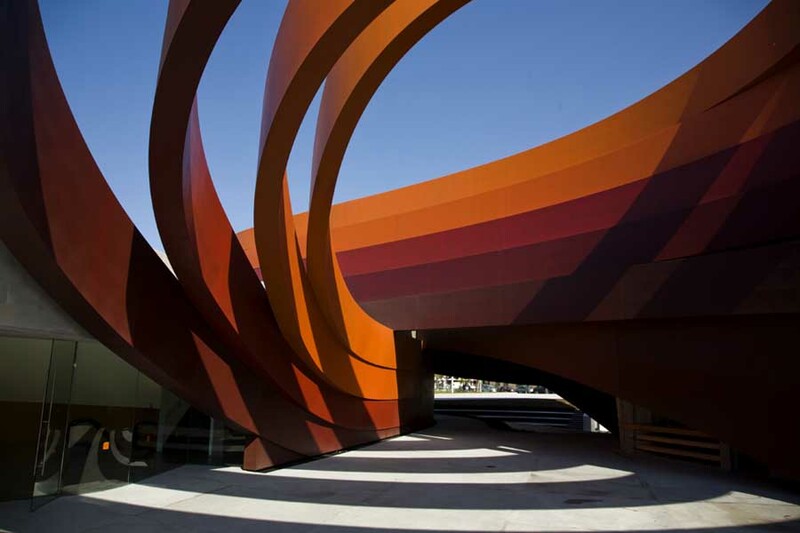 As a group we discussed the anomaly of billowing coloured swirls outside and the restrained white spaces within. The spaces might allow curatorial flexibility but the fact that their perimeter wasn’t reflected externally concerned us architect visitors as we have all been taught that form should be ‘honest’ and reflect the form of the space held within. 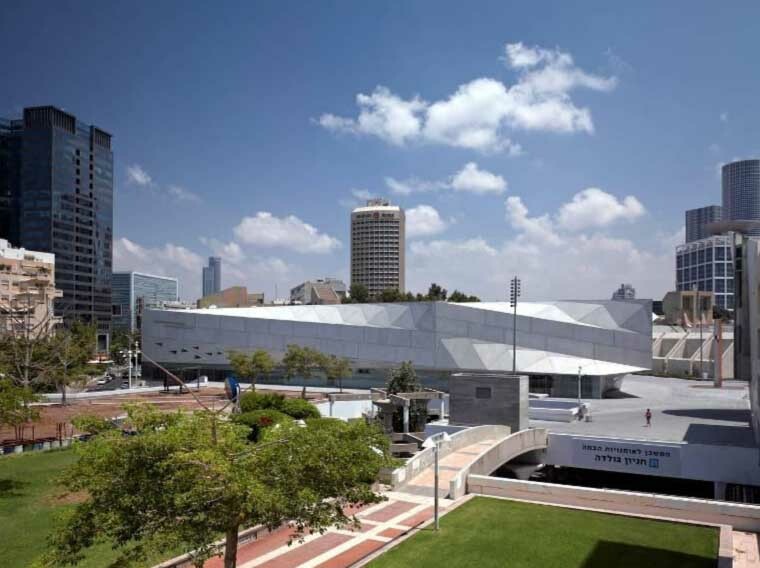 The Israel Museum opened in 1965, in a Modernist complex nestled on the Judean Hills near The Knesset – the national parliament building – and the Hebrew University. Since that time, it has become the most eminent cultural institution in the region and one of the leading art and archaeology museums in the world, with collections growing exponentially over the past four decades. Now 45 years later, the museum has reopened after a $100 million expansion and renovation. 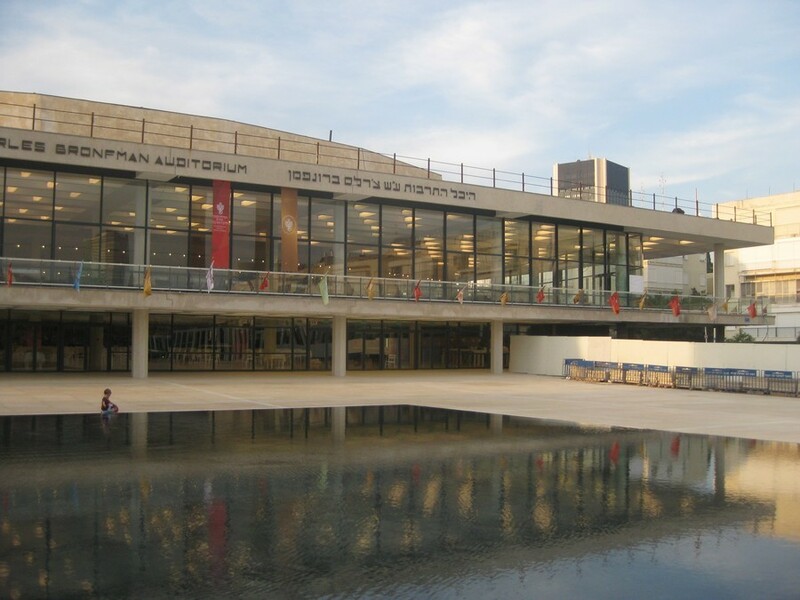 The Senate Center complex at the Ben-Gurion University of the Negev serves as the university’s administrative center. 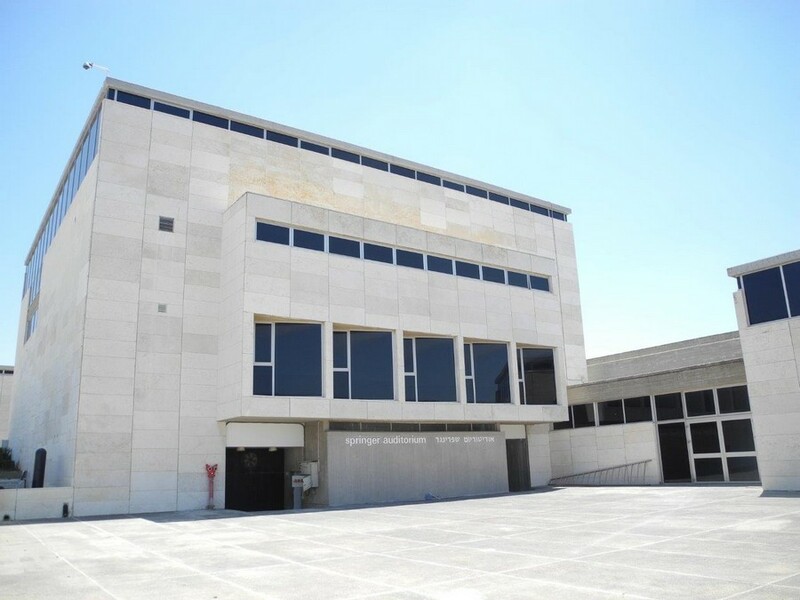 It contains an office building, the Senate Hall, and an exhibition space. The office building, which faces the campus’s main entrance plaza, on the main lengthwise pedestrian axis, is shaped like a monolithic cube with sandstone cladding, and encloses a circular inner courtyard. The main entrance to the plaza and to the complex is designed like a cleft carved into the rock of a canyon. 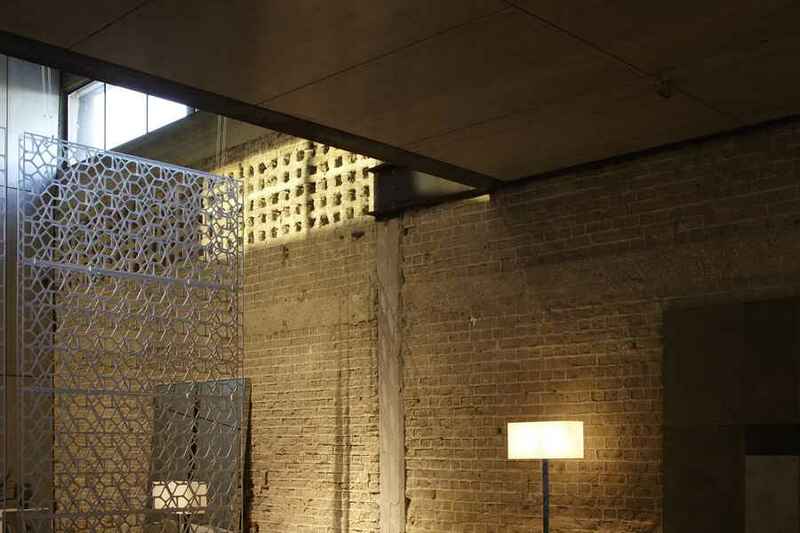 The designer breathed new life into an abandoned and dilapidated building in the Tel Aviv harbor area, and created, around one of the finest furniture collections in the world of design, a space that is both powerful and yet restrained at one and the same time. The 11 meter high structure with a unique façade consisting of a line of pillars was used by the designer as the base for the entire outer shell. The architect chose to leave in place only the pillars and beams and to remove everything else. 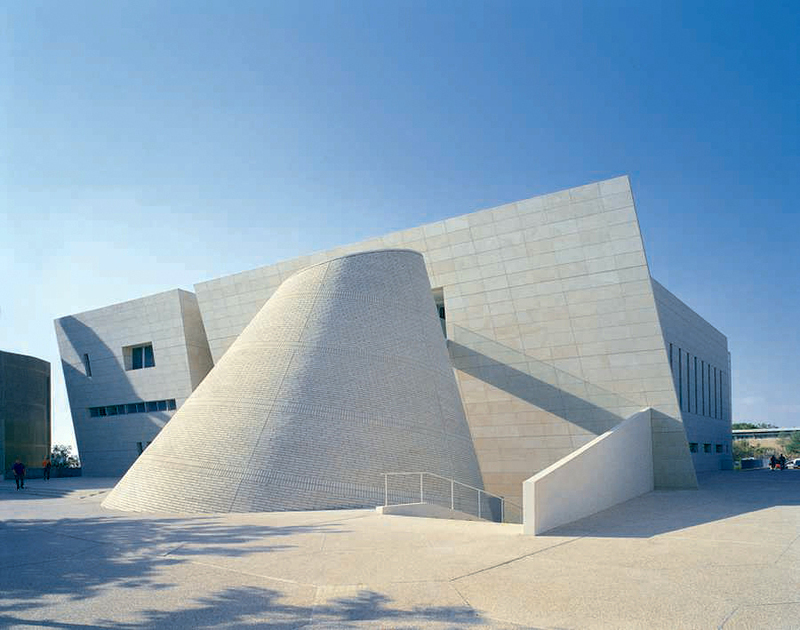 The courthouse in Jerusalem is located on a newly designed main public square in the city center of Jerusalem. The building houses all the judiciary levels except the Supreme Court, and contains 113 courtrooms and 135 judges’ chambers. The design of the court building connects and bridges among the host of diverse design languages of the buildings around it while creating a distinctive language of its own.